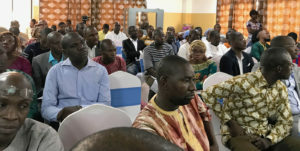 Curing NMO From Ali to Mali: A team of filmmakers documented the Second African NMO Conference. They interviewed clinicians, researchers, and patients as they shared their journeys about how NMO affects their lives, and how they’re taking action toward a cure. 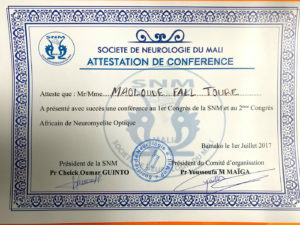 Uniting the world in a global effort to solve NMO through worldwide connections, The Guthy-Jackson Charitable Foundation co-sponsored the “Second-Annual Congres Africain de Neuromyelitie Optique et Pathologies Associees” neurological conference in Bamako, Mali, June 30 – July 1. 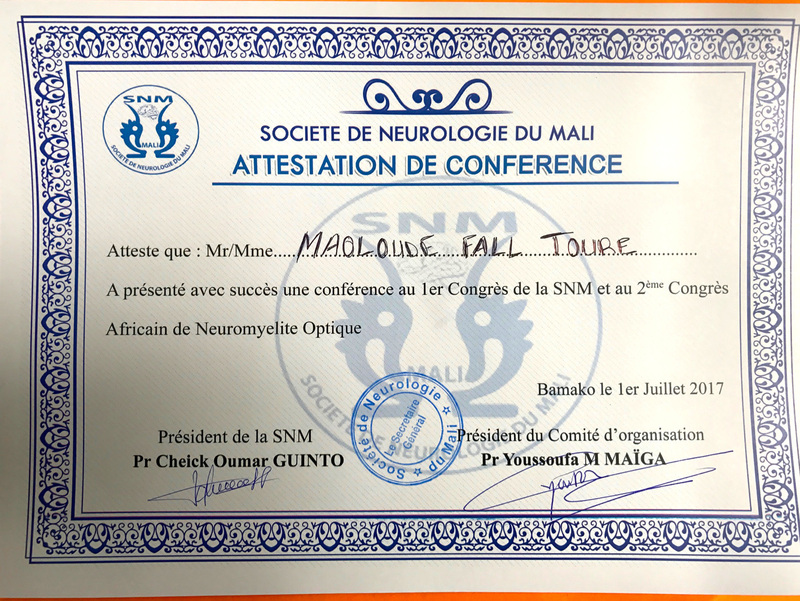 Led by NMO neurologist, Dr. Youssoufa Maiga, the conference was a breakthrough in NMO medical education and awareness for Africa. The conference team included Drs. 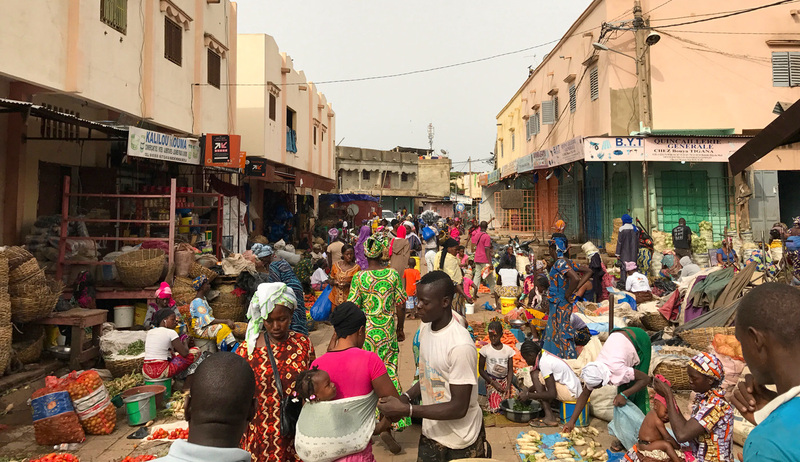 Najib Kissani (Morrocco), Dorlan J. Kimbrough (USA), students, and friend and advocate for the Foundation, Maoloude F. Touré. 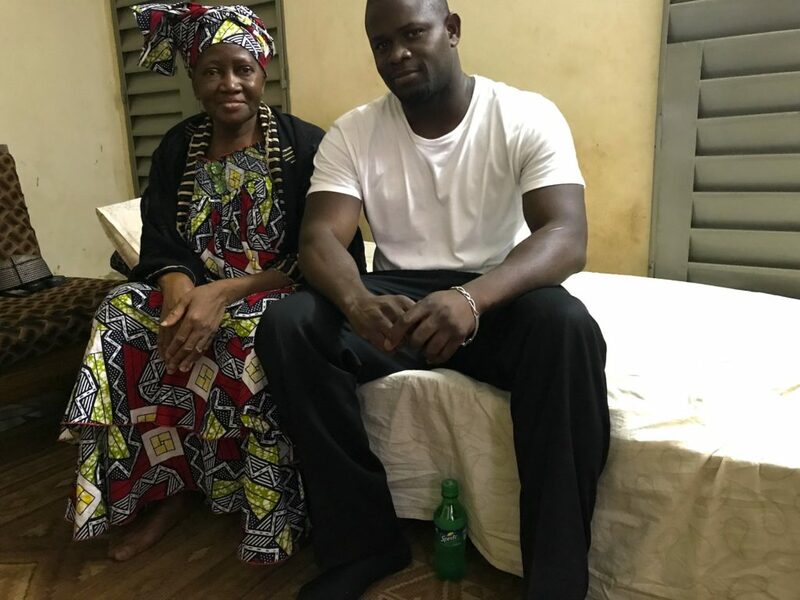 Friend and advocate for the Foundation, Maoloude F. Touré, visits with Malian NMO patient Kadidia Koulibaly, discussing NMO research and the work toward a cure. 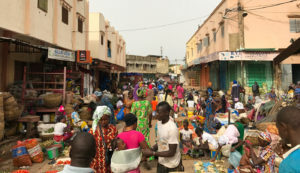 The Republic of Mali, located in West Africa, is among the largest countries on the continent. It’s a third-world country with 50 percent of the population living below the poverty line. 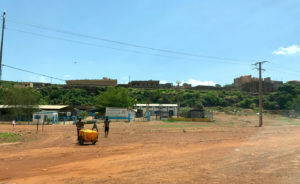 Its capital city, Bamako, sprawls along the banks of the Niger River and is among the fastest growing cities in Africa. 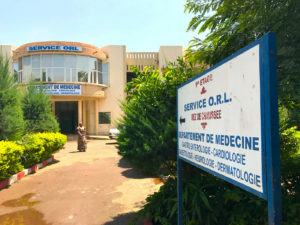 “NMOSD is relatively frequent, but its pathology is poorly known in Africa,” said Dr. Youssoufa Maiga, an expert NMO clinician, and lead organizer of the conference. Motivated by GJCF’s work saving and improving lives of NMO patients, the conference provided NMO clinical training, teaching African clinicians how to diagnose and treat it. Among the milestones achieved was the first-ever meeting about NMO and GJCF with the President of Mali, Ibrahim Boubacar Keïta, as well as Mali’s Minister of Health and the Minister of Education. “The President was not aware of NMO or the Foundation before this,” said Maoloude, friend and advocate for the Foundation. “He was surprised that Victoria and Ali, on the other side of the world, were affected by a disease that his citizens also lived with.” The President was excited to learn that the Foundation is funding NMO clinical research to find a cure. As a result of that meeting, the President agreed to support a proposal to build an African National Registry for NMO patients. 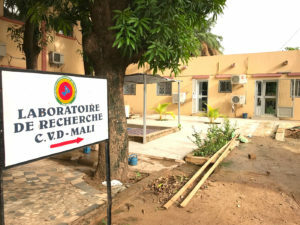 The proposed registry is planned to be located in Mali and will collect information about every NMO patient in Africa. But like anything related to NMO, the meeting and the conference didn’t happen without a fight. 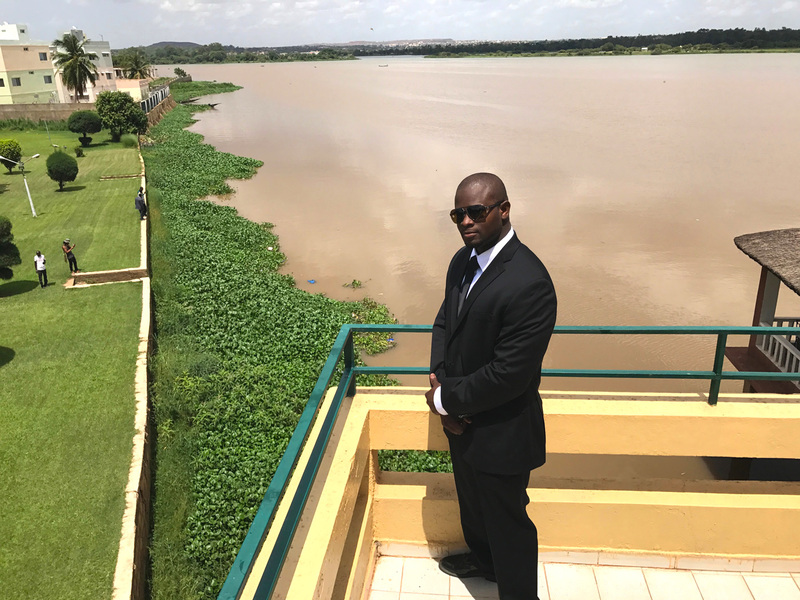 A recent terrorist attack that occurred at a popular resort just 11 miles away from the conference hotel put everything Dr. Maiga and his team had worked for at risk. With steadfast resolve, the conference organizers decided it was too important to cancel. 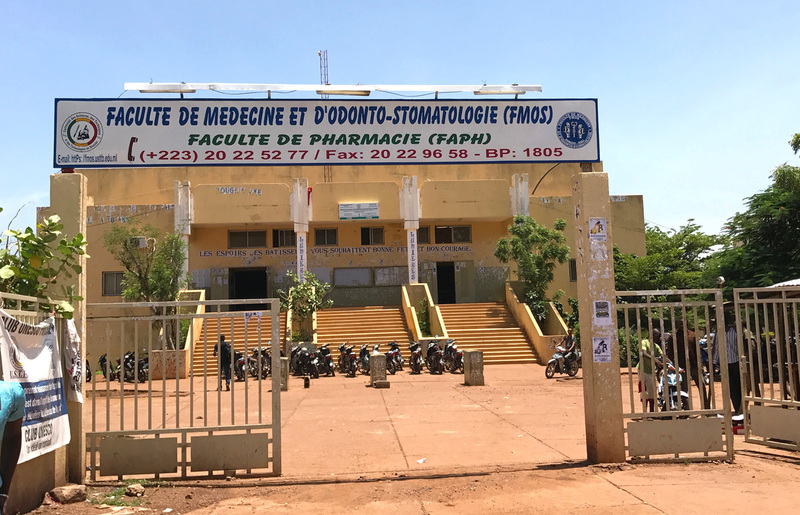 Undeterred by the attack, a record-breaking 480 neurologists, students, and industry representatives from 20 African countries traveled across the continent to attend. 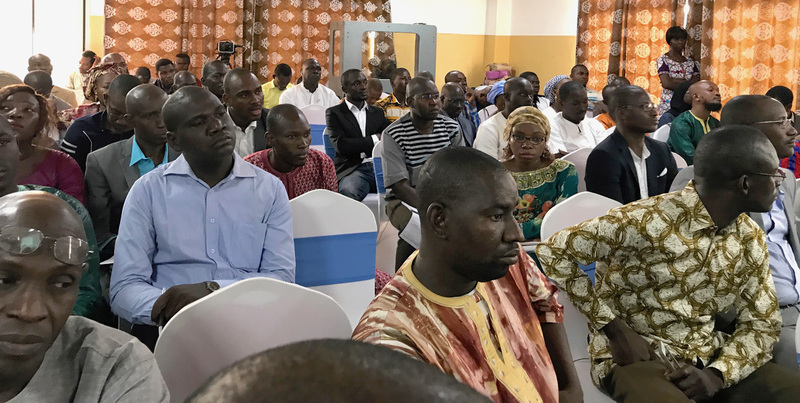 Most of the attendees did not know anything about NMO, but they were determined to learn and nothing would stand in their way – a testament to the strength of the human spirit triumphing over terrorism. The NMO population is made up of a community of courageous people and Maoloude is no exception. When Victoria learned about the attack, her first instinct was to protect him. She canceled the trip. Yet, two days before the conference, she reconsidered. 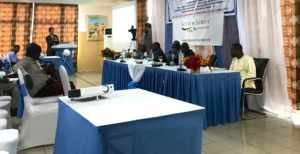 At the conference, Maoloude delivered messages from the Foundation in English and French and played two videos. The audience watched as Victoria Jackson, Founder of The Guthy-Jackson Charitable Foundation, said, “With your support, a cure for NMO is on the horizon.” The crowd responded with astonishment. The second video played. The doctors watched a composed young woman confidently talk about NMO. At the end of the video she declared, “My name is Ali Guthy and I have NMO.” Another wave of surprise swept across the crowd. That instant reshaped their world of NMO, erasing maps and color. The energy in the room was palpable. 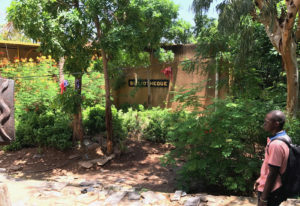 The doctors were empowered by these two “courageous women” from the far corner of the world. They quickly realized that Victoria and Ali are leaders in the worldwide movement to cure NMO, and they must now be part of the cure. 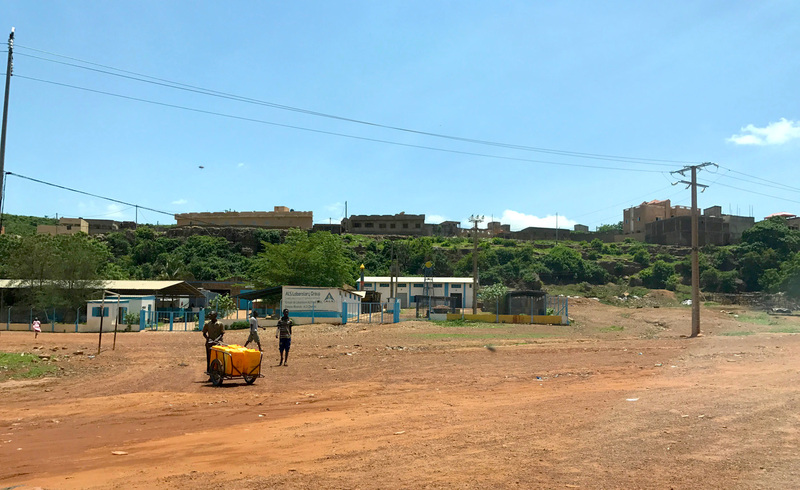 “I could see the hope in their eyes,” said Maoloude. During the remainder of the conference, NMO presenters continued to mention the Foundation, “because it’s the heart of the worldwide fight against NMO,” said Maoloude. 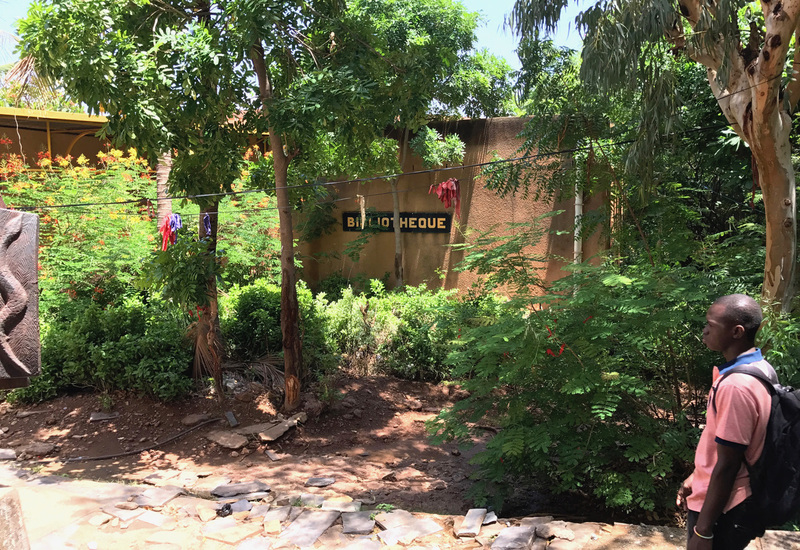 Maoloude, along with Dr. Maiga, his assistant, and a film crew, visited two NMO patients at their homes, just outside of Bamako. They also visited a hospital, a university, and its laboratory, where the NMO-IgG test is performed. 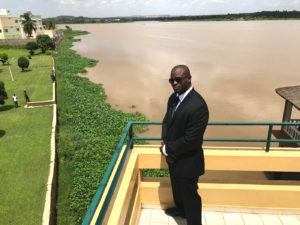 “It took three hours over bumpy roads to get to the first patient we interviewed,” said Maoloude. 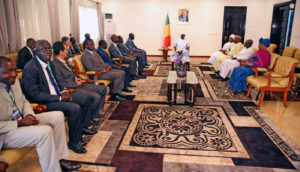 Because of the terrorist attack and the President of France attending a terrorism summit in Bamako, “Malian soldiers with AK-47s were on every corner of the city,” he said. It took another hour to visit the second patient. Yet, most of the NMO patients in Mali live hundreds of miles away from Bamako, making it very difficult to see NMO neurologists. The patients were both women and spoke French. Maoloude acted as translator. Both had positive NMO-IgG tests and experience relapses that affect their ability to see and/or walk. They were shocked when they saw the image of Victoria and Ali – amazed to see how good Ali looked. Both were curious about Victoria, but neither of them knew that Victoria was just as curious about them and she planned to talk to them over Facetime. “How are you doing?” Victoria asked the first patient who asked to remain anonymous. The woman is in her mid-30s. She was diagnosed in 2004 when she was 29 years old. Like other patients, she had to travel to France for a correct diagnosis. “We’re doing everything we can to find a cure,” replied Victoria. 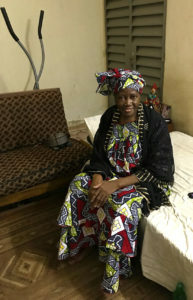 At the second patient’s house, Kadidia Koulibaly, along with her husband, welcomed Maoloude and the team. Despite repeated attempts, Victoria and Kadidia were unable to talk due to poor cell phone reception. Maoloude talked with her expressing Victoria’s, Ali’s, and the Foundation’s mission to cure NMO. She was diagnosed in 2007 when she was 54 years old. Like the first patient, she also had to travel to France to get diagnosed. 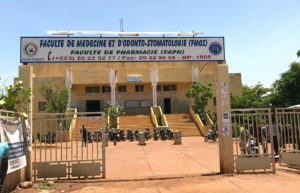 At the hospital, Faculte de Medecine Et D’Odonto-Stomatologie, Faculte de Pharmacie, the team toured the neurology department, which has six neurologists, treats an average of 150 patients every week and can sleep 30 patients. There are only 17 neurologists in Mali and approximately 30 confirmed NMO cases. The hospital has few rooms, which means that many patients and loved ones sleep in communal rooms, even on the floors and the hallways throughout the hospital. 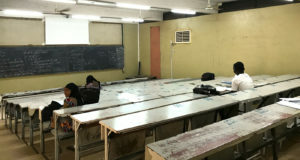 Despite limited resources, the hospital continues to train neurologists in NMO. 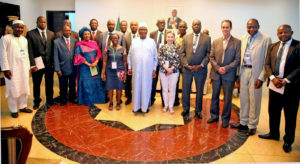 Over a period of three days, many more meetings about NMO and the Foundation ensued as clinicians, researchers, and Malian officials, including planning for the 3rd African NMO conference. 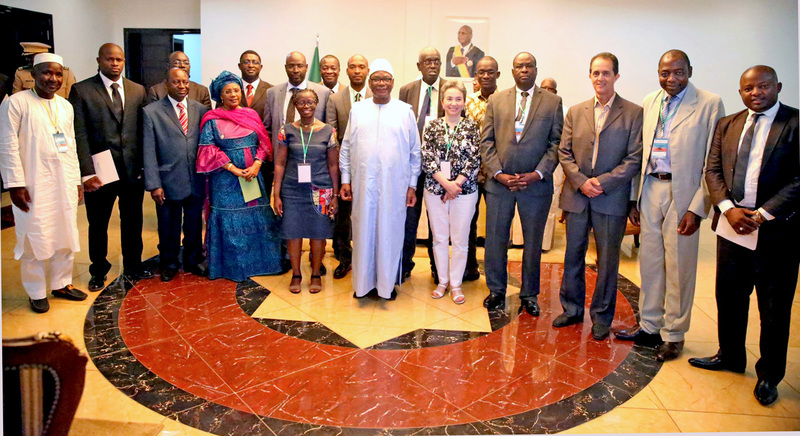 As the Malian NMO community discusses NMO, the Foundation, and what the future holds, Ali’s circle is complete. 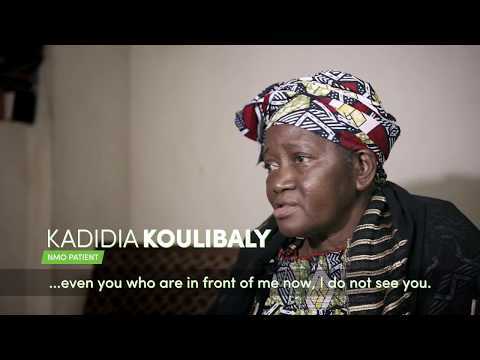 Once again, she’s a delegate for Mali, but this time it’s not in a mock debate. It’s in real life. 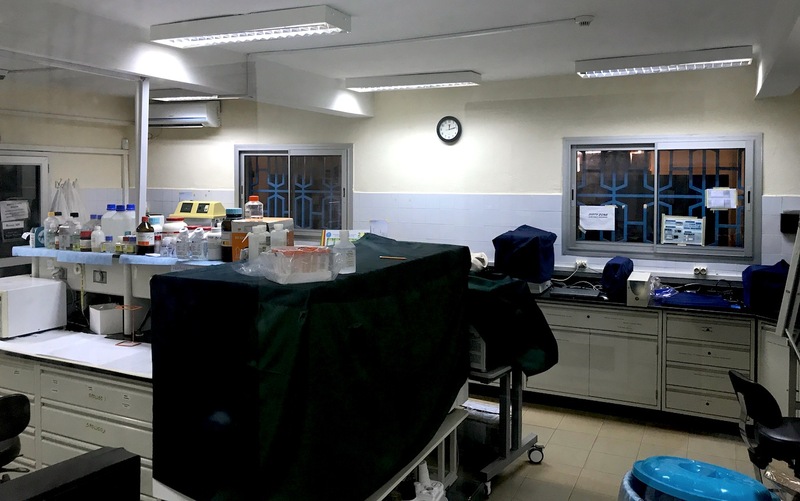 Where there was none before, Ali, Victoria, and the Foundation brought hope to African NMO patients and clinicians.